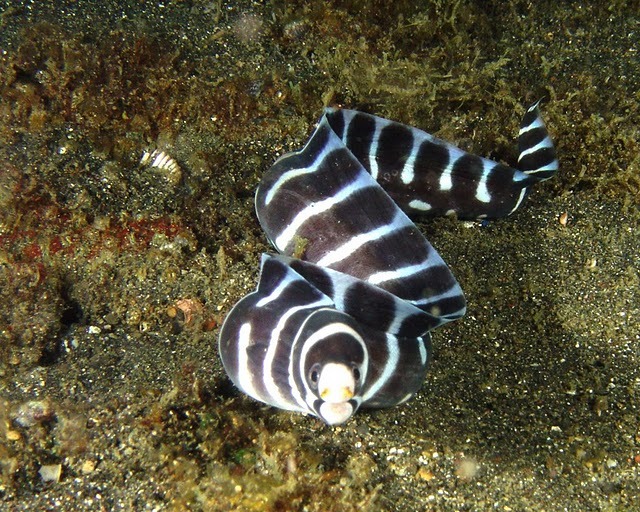 Sold as the Zebra Eel, but it’s not the larger one that comes from Hawaii. This is a non-aggressive eel that get about 2 feet and it will hunt invertebrates. Does will in FO or FOWLR tanks with plenty of rocks for cover. Gets along with non-aggressive fish. They should be fed with a feeding stick.